Many individuals have more than once thought about having a garden of their own. The reasons for wanting to grow a garden differs from individual to individual. Maybe they find it relaxing and enjoyable to work the soil with their bare hands, or maybe just the idea of growing what they eat creates the allure. Whichever it may be, growing in raised bed garden is much easier than most would think. The first thing to keep in mind is that your raised bed garden can be as big or as small as you want it to be. You may only want to plant within a four-foot by four-foot space—no problem. Maybe you want to take it on a grander scale—no problem there either. Your garden will be what you want and make of it. To better understand if a raised bed garden is the way to go, let’s look at what is involved in setting one up. Unlike a traditional garden, where the soil has to be tilled and let to stand for a few weeks, a raised bed garden can be functional, as well as ornamental and ready to go in no time. The first step is to plan out where you want your garden. One of the major, of many, advantages to a raised bed garden is that you can pretty much locate one anywhere. 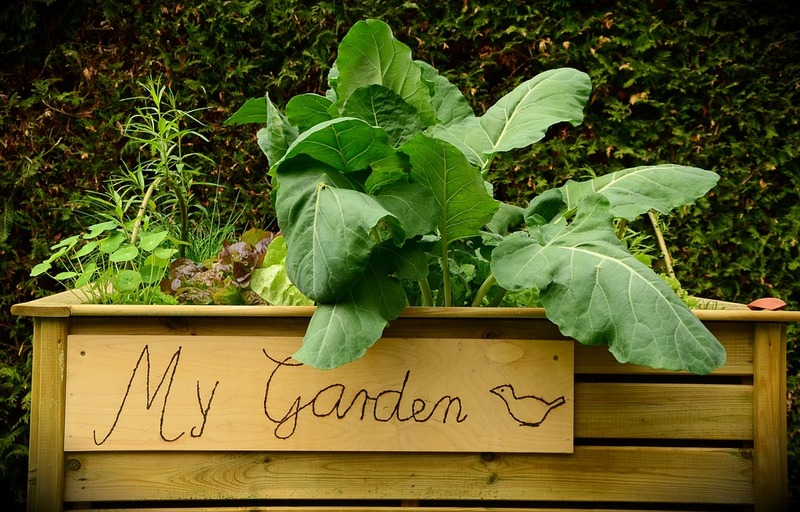 With a traditional garden, you are bound to the necessity of having a good sized piece of land, however, with raised bed gardening the items you want to include in your boxes will determine the size or even the amount of space you will need. Which brings us to the boxes, which is how we will refer to the beds from here on out, that you will need to garden in. Again, you can be as fancy or as simple as you want. When I created my boxes, I knew I wanted wood and a type of wood that would last longer, and help keep down on bugs. Let me just point out right here, do not go the route of any type of treated lumber including landscaping timbers. These type of woods are treated with a chemical that will leach into the bed itself and could produce harmful health effects in the long run. It is strongly suggested you stick with an untreated wood. That is why I personally chose cedar. I put my boxes in four years ago, and they are still doing great. I am very happy with the choice of wood I went with. The size of your boxes is totally up to you to decide. If you are limited on space, make them small, if you have quite a bit of space, make them larger. You may want them only sixteen inches high, such I mine, or you may want them higher or lower. It is totally up to you. Once you have your boxes built and located where you want them you will then need to fill them with soil. I researched and researched the best soil mixture for where I live. My boxes hold a vegetable garden, so I needed to make sure my soil was conducive to growing what I planted. I settled on using top soil, cow manure, and peat moss. My boxes were four foot by four foot, and I wanted a soil depth of fourteen to fifteen inches. To better aid in determining how much I need of each, I went online and found a calculator for determining cubic feet (I am not a math wiz so the calculator really took the stress off), and input my measurements and depth desired. This gave me a rough idea of how much soil I would need in each box, of which I started out with four. I learned that the best ratio for my needs was two parts topsoil, to one part cow manure, to one-half part peat moss. I am sure you are wondering by now why the peat moss? The peat moss would aid in maintaining the proper moisture levels in my boxes. Peat moss will hold moisture, but not so much moistures that it will rot the roots, but at the same time would all water to move through when there was an abundance present. It pretty much takes care of the balancing of moisture that is so crucial whenever planting. All that was left was to plant my seeds, water when needed and wait for mother nature to work her magic. I do want to say another major advantage to raised bed gardening is that it saves wear and tear on the back, and the weeds are not anywhere near as bad. I would weed it once a week, at most, and with the raised feature of the beds, my back wasn’t near as overtaxed as in my previous traditional gardening. That was pretty much it. I hope you found this information helpful, and if you are considering a raised bed garden, I say go for it. The only negative I can think of about mine is the fact I didn’t do it much earlier in my gardening life.